Yarrow Hot Yoga and Wellness Studio now open for business at 411 West Boone Avenue next to Sherwin Williams paint store. Owner/Instructor Beth Galis, (pictured) a fourth generation area business owner, is expanding her studio from her home into the downtown Spokane area. Yarrow Yoga offers the only Bikram inspired hot yoga in Spokane. They also offer high quality massage and bodywork. This style of yoga has been taught in the U.S. for 30 years. Galis has been operating out of her home studio for the last two and a half years, and has out grown that location. Yarrow offers classes every day of the week. Hot yoga rates are listed on line with an introductory offer of $30 for 30 days of unlimited yoga. The studio also offers the latest in yoga fashions for men and women and a wide selection of accessories including mats and towels. Yarrow Hot Yoga & Wellness Studio will have a grand opening on Friday, December 3rd from 7p to 11p, welcoming people who have questions about hot yoga. Contract Design Associates at 402 East Sprague is holding their annual showroom and warehouse sale this week featuring discounts up to 80% on many items. All high performance seating including Herman Miller and VIA, executive office suites, side chairs, ergonomic tools such as keyboard trays, new demo units, and a wide variety of items in the warehouse are on sale. 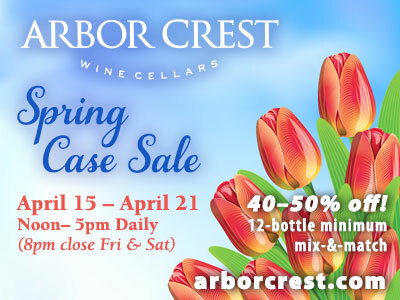 The sale is 8:30am to 5 pm today through Friday. The phone number is 509-624-4220 and the website is a www.cdainteriors.com. Old World Christmas has opened their factory outlet store at 4005 East Main offering their spectacular holiday collectibles at below wholesale prices. There are thousands to choose from, and they're all more than 50% off during the Old World Christmas Factory Outlet Sale going on now, weekdays 11 to 3, Saturday and Sunday 11 to 5. You can learn more about Old World Christmas at www.oldworldchristmas.com. Subway stops at 3rd and Browne. After a year and a half, the former 3rd and Division subway shop has re-opened one block west and across the street at 41 West 3rd. They're in part of a former Parker Paint building, the other half of which is for lease. Progress continues at a swift pace for a major economic development project in the Airway Heights area by the Spokane Tribe of Indians. Regulatory processing and site planning are continuing on schedule for a proposed 145-acre mixed-use development on Spokane tribal-owned trust land adjacent to the City of Airway Heights. Tribal Council Chairman, Greg Abrahamson, reports that the Tribe is working closely with representatives of the U.S. Bureau of Indian Affairs and the State of Washington to complete required paperwork to obtain all necessary approvals by mid-2011. "The mixed-use project will bring a multi-million dollar economic boost to Airway Heights, Spokane County and the surrounding area," Abrahamson said. He added that the project is expected to generate some 850 new jobs, not just for Tribal members but also for the regional employment base. It will be one of the area's largest employers. Plans for the site include a Tribal Cultural Center, which will highlight the historic significance of the Spokane Tribe in this region; a large hotel, resort and casino; family friendly activities; commercial retail uses; office space, and medical and counseling facilities. The site also will accommodate appropriate parking space. "We are extremely pleased with the support our proposal has received from all sectors of the community - elected leadership, business and non-profit organizations," Abrahamson said. "They all recognize the cultural opportunities, job creation and economic stimulus it will provide -- especially in these difficult times. They also recognize the provisions in State Law that all Tribes must be treated fairly and equally in projects like this," Abrahamson added. Avista is "Powering our Future." Avista is hosting an interactive energy event called "Powering our Future: Energy Opportunities, Choices and Costs." taking place Thursday, October 28th, at CenterPlace at Mirabeau Point. Elected officials, business leaders, and community members are invited to attend. The event will include national energy speakers as well. This interactive energy event will feature Avista energy experts, national energy experts and community leaders for an afternoon of sharing information and ideas about new forces and opportunities and how we can shape our energy future. Learn more, RSVP, and help shape the event's content at the same time: avistapoweringourfuture.eventbrite.com. The BEST is this week. BEST of Spokane Party 2010, Spokane-Coeur d'Alene Living magazine lavish launch party for its "Best Of" issue, is set for 6:30-9:30 p.m. Thursday, Oct. 28, at the Martin Woldson Theater at the Fox. Food will be from restaurants voted the best by Living readers, and a variety of local wines will be available for tasting. Freeze Models will wear the latest holiday fashions from Finders Keepers, and artists will put on live demonstrations. Dance to Keen Music's DJ or chill in the Bozzi Lounge, designed by Concept: Home. Tickets are $25 each, or $65 for VIP treatment that includes priority access to the red carpet, gift bags, a drink ticket, and exclusive entry into prize drawings. For tickets, go to www.spokanecda.com. Humanix announces that Lori Lingenfelter, PHR, has joined the company as business development manager. With over 20 years experience in the staffing industry, Lori will also lead Humanix's permanent placement division, Promanix. She was most recently Director of Human Resources with West Valley Staffing Group in the Silicon Valley. Prior positions in the industry include Branch Manager, Director of Prostar Staffing/Accountants Now, and General Manager. Lori has earned her BS, Human Resources Management from Notre Dame de Namur University, Belmont, CA. "You Deserve a Break Today" creator to speak here. The American Advertising Federation Spokane will host Roy Bergold, former CCO for McDonald's, for a luncheon on November 2nd at Global Credit Union's auditorium, 1520 West 3rd Avenue, in Spokane. The luncheon will be from 12:00 - 1:00 pm. McDonald's advertising is possibly some of the best and most loved advertising of the twentieth century. In fact, Advertising Age named the campaign, "You Deserve a Break Today" the best advertising campaign of the twentieth century. And, Ronald McDonald was named the second most influential spokesclown of that time. Bergold's presentation takes a look at the development and history of this advertising back to 1965 and forward. Roy Bergold was responsible for McDonald's advertising worldwide for many years and he hopes to share some back stage secrets and commentary about how all this happened. During these years, McDonald's won every advertising award out there, over 400 statues. But let's face it, there were some bumps and Bergold will be sharing some of those stories. If you remember any of the commercials Bergold will be showing, you will find out how and why it was made and how it led to McDonald's success. So, as they say, sit back and let your way back meter run to the Sixties and enjoy the story behind one of the most watched campaigns of our time. Because, You Do Deserve a Break this afternoon, so just have fun. If you would like to attend the luncheon it is $15 for Ad Fed members and $25 for non-members. 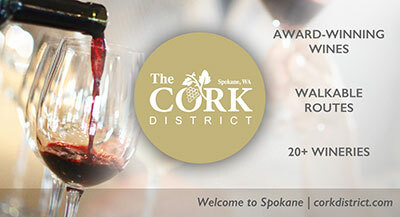 Please RSVP by October 31th at www.aafspokane.com or contact Ginger at ginger@spokaneadfed.com, 509-328-5855. River Park Square invites area businesses and non-profits to staff a holiday gift wrapping stand in the shopping center to support local charities. All profits from the stand will go directly to the volunteering non-profits. Volunteering businesses can donate their profits to a charity of their choice. Women's Votes, Women's Voices at the MAC. Denny Waltermire and Vic Pestrin, Owners of Hallmark Hyundai, are excited about acquiring the regional Suzuki franchise. The first Suzukis' started rolling into Spokane Valley in the middle of September. Now Hallmark feels they have enough inventory to throw the doors open. "We've been interested in the Suzuki franchise for some time, they make a fantastic product at a price that is very attractive" says Waltermire. Vic Pestrin adds "A lot of people don't know that Suzuki's flagship sedan the Kizashi was ranked number one in customer satisfaction. Last year's winner was a Lexus that cost almost twice as much." Hallmark Suzuki is located on the corner of Argonne and Sprague on AutoRow. Greater Spokane Incorporated is holding their annual trade show tomorrow, Tuesday, Oct. 26, from 3 to 7 pm at Northern Quest Resort and Casino. There will be more than 70 exhibitors from all kinds of industries. This year's theme is "Betting on Your Busine$$." For more information go to greaterspokane.org.